Akali: It is difficult to imagine Punjab elections without the Akali Dal. As the second-oldest political formation in India (1920), it has been an agenda-setting party for Punjab politics. More often than not, it sets the discourse for state politics, even when it boycotts the polls (like in 1992). Badals: In recent years, no family has been synonymous with Punjab like the Badals. Badals are everywhere, even outside Punjab. The family controls the government, it controls the party through the Akali Dal, and it controls the gurdwaras through the Shiromani Gurdwara Parbandhak Committee (SGPC). Badal family members include a son, a daughter, a son-in-law, a daughter-in-law, brother of daughter-in-law, uncle of... and so on. Chitta: Chitta is the local euphemism for drugs. Chitta means white, and it is the white powdered variety of drug that has emerged as an electoral issue. While school children protest carrying placards against liquor and drugs, the state is full of stories of families destroyed by them. This time, it has gone beyond elections. The story of drugs is related to cross-border smuggling, mafia, money, muscle, police and politics. Deras: Deras have always had an impact on Punjab elections. Albeit discreet, most deras or headquarters of religious organisations and seminaries had stayed away from overt politics. Almost every constituency had its local pir or dera where candidates would pay homage and seek blessings. Some had a radical connotation, some had a caste overtone, others were into faith healing. Some deras had a state-wide and national appeal, and national leaders would call upon them. That is, till Dera Sacha Sauda made their loyalty public, and threatened to upset the political applecart in the state. This provoked a backlash, and since then, they too have reverted to discrete politics. Today, deras may not be kingmakers, but they still matter a lot. Entertainment: Long before Kapil Sharma became a household name, Punjabi humour and stand-up routines were part and parcel of every election campaign. The earthly and robust Punjabi humour was staple diet of every election speech. Even the most serious and sombre politicians would indulge in wisecracks, often subtle, but sometimes not so subtle. 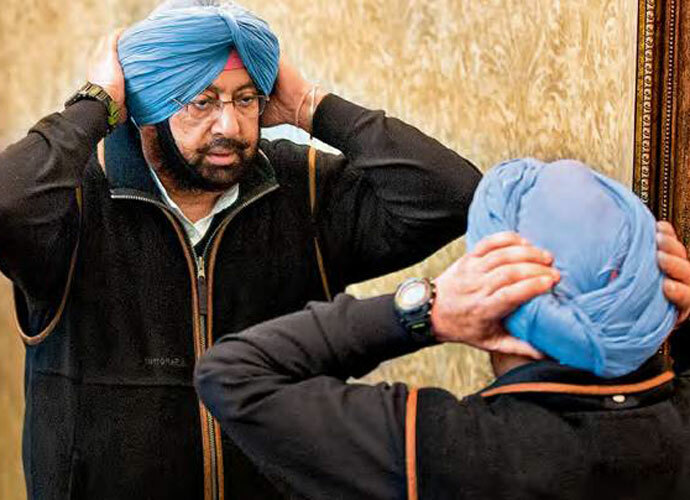 Parkash Singh Badal and Amarinder Singh would often let their guard down and narrate funny anecdotes about each other. Comedians were used as baits to draw crowds at election rallies, and wit and repartee were sought after. But that is before professional comedians began considering politics to be a serious business. Even the most serious and sombre politicians indulge in wisecracks. Farming: In Punjab, an electoral harvest is directly proportional to farm produce. If farmers do well, the village trader does well, and the surplus flows into the urban areas. Farm prices are often an indicator of how this predominantly agricultural economy will vote. No event is more eagerly watched than the announcement of the minimum support price (MSP) of wheat and paddy. Insect blight or rust could harm the produce, and an aphid could harm both the cotton crop and many a political fortune. Gurdwara: The origin of the Akali movement was the liberation of the Sikh holy shrines (gurdwaras) from the clutches of the hereditary mahants, who then enjoyed British patronage. Since then, almost all campaigns in Punjab begin with a prayer at the gurdwara. A century later, this aspect hasn’t changed. In Punjab, people and politicians of all hues often embark on important events in their life seeking blessings at a gurdwara. But this has also given rise to a certain form of gurdwara-based politics, which has been exploited by most political formations. Harijan: It often comes as a surprise to many, but Punjab has the highest population of reserved castes in India (31 per cent). Kanshi Ram was from Ropar in Punjab, and BSP’s Member of Parliament, Harbhajan Lakha, also won came from Punjab. Despite their high percentage, they are not a monolithic group. The BSP has not been able to capitalise on this vote bank, and both the Congress and the Akali Dal have actively wooed the Dalit vote. Innovative: Punjab is famous for its innovative drive in politics, which often fluctuates from one extreme to another. A wave elected an incarcerated Simranjit Singh Mann in 1989, baffling the rest of the country. Mann was in prison, but he won with one of the largest ever margins. In 2014, Punjab again experimented with the Aam Aadmi Party (AAP) electing four MPs, while AAP lost everywhere else in the country. Punjab had once again experimented with a new brand of politics where comedians became more important than professional politicians. Is Punjab done with experiments? Jat: A Jat may or may not become the chief minister of Haryana, Rajasthan or Uttar Pradesh, but in Punjab, this seems to be the norm. Jats are a pillar of Punjab politics, and this is a state where feudal landownership has been effectively harnessed as political power. Virtually all political leaders of Punjab are Jats, and non-Jats have been gradually marginalised at the hustings. The most prominent leaders in both the Akali Dal and the Congress are Jats - be it Parkash Singh Badal or Amarinder Singh (who was elected president of All India Jat Mahasabha in 2013). With rural to urban migration, non-Jats have gradually been marginalised even in urban areas. Kakaji: Kaka means a son, and Kakajis of Punjab are both famous and infamous. Add a respectful honorific in the form of a "ji" to Kaka, and you know that the person is transformed from a kid to a pampered son. Age does not matter for Kakajis. You may be younger than a Kakaji, but you will not address him as an elder. Kakaji is the word to address them and they are omnipresent - whether it is the famous geri route for college students in Chandigarh, or 22 Number Phatak (railway crossing) at Patiala, or the headquarters of any political party. Langar: Another by-product of Sikh culture, langars go with every election. Roadside langars come up during every election; and at least here, party divisions are forgotten. It is not uncommon to see workers of one party partaking langar at the tent set up by their rivals. Or voters being told - you can vote for anyone, but please have langar at our office. Minority politics: Punjab is a unique state where a national minority (Sikhs) are in a majority which imparts a different hue to state politics. The parcelling out of Haryana and Himachal Pradesh from unified Punjab has implied that ever since 1967, no non-Sikh has ever become the chief minister of Punjab. Does anyone recall Bhim Sen Sachar or Gopi Chand Bhargava or comrade Ram Kishan - all three having served as CM’s of United Punjab? To compensate, the Akali Dal ties up with the BJP at the Centre. Notebandi : In rural Punjab, the farm sector is basically a cash economy. The farmer’s market is cash driven, and both when crop sale, and seed and implement purchase are dependent on cash. Limited cash flow seems to have hurt farmers more than the organised sector, leading to a situation where farm produce was often sold at close to half the price compared to last year. Demonetisation might emerge as a bigger issue than drugs this time. Operation Bluestar: Operation Bluestar was a turning point for Punjab, and for India. 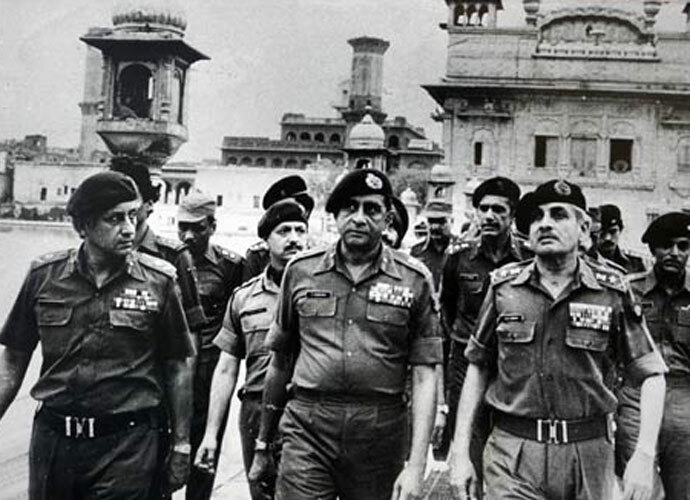 A heavily fortified Golden Temple complex, an operation by the armed forces, the damaged Akal Takhat, a mutiny in the Army, the killing of Indira Gandhi, the anti-Sikh pogrom, and the cycle of terror and violence that both preceded and followed these events became the defining moments of India of the 1980s. Punjab was never the same again, and neither was India. Parkash Singh Badal: He is by far a leader that neither Punjab nor any other state in India has ever seen. To imagine Badal’s reach and sweep, one does not need to go back to 1957, when he was elected an MLA for the first time. But in 1970, at the age of 43, he became the youngest chief minister of any state in India. He wasn’t as powerful then as he is today. During the 1970s-1980s, the triumvirate of Parkash, Gurcharan Singh Tohra and Jagdev Singh Talwandi were calling the shots. Badal ran the government, Tohra ran the SGPC, while Talwandi ran the party. 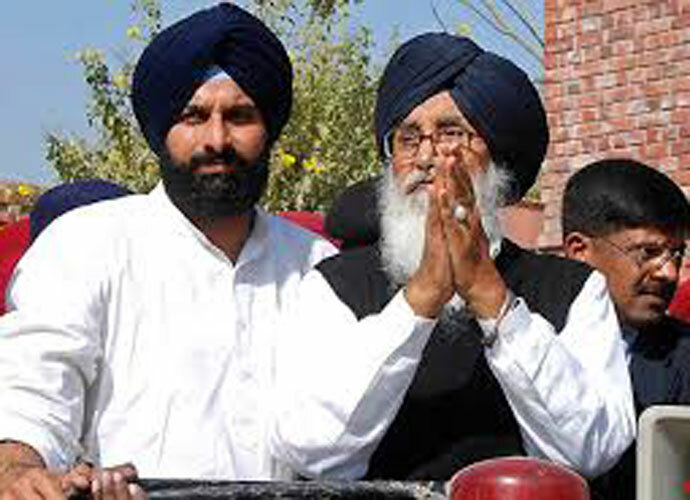 With Tohra and Talwandi are no longer on the scene, Badal emerged as a numero-uno among Akalis. Most people who vote for him (or against him) were probably not born when he first became a MLA or CM. Once the youngest, today, at the age of 89, he is the oldest CM in India. Qissa: Punjab is the land of ballads and qissas, and part of the election entertainment in Punjab is qissas sung by the bards or dhadis. The qissas may be religious or secular, with the one with religious fervour being narrated by the dhadis. Another variant would be qissas of tales of love and sacrifice. Punjabi bhangra numbers are a rage all over, but no one can forget the legendary qissas from the state - particularly when their content revolves around bravery, valour, treachery and intrigue. Reach a political stage half an hour before a rally, and you can find still find bards singing Punjabi qissas. SYL: Every election since the early 1980s has been woven around SYL. The Kapuri morcha which launched the Akali movement and then spiralled out of control, stems from the Sutlej Yamuna Link (SYL) canal. Many lives have been lost, and much water has flown down the rivers, but every election has the SYL issue emerging once again. 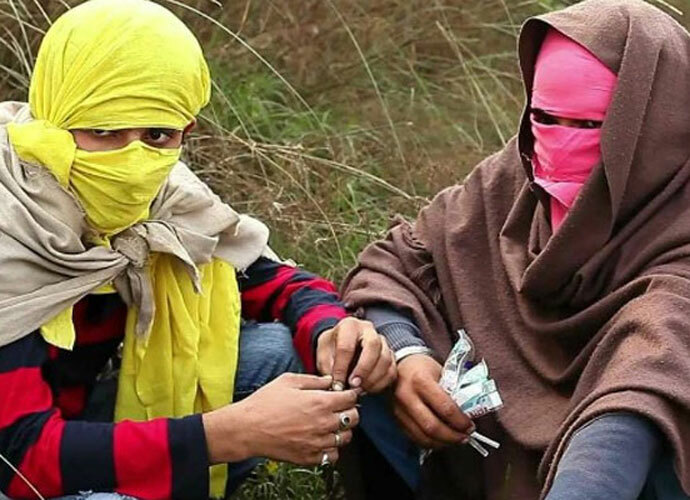 Turncoats: Turncoats may have been synonymous with Aya Rams and Gaya Rams in Haryana, but in Punjab, the diminishing of ideological hardlines has spawned an entirely new generation of turncoats. So much so, that every party is now clamouring against granting tickets to turncoats. But before jumping to any conclusions, consider this. Badal once won on a Congress ticket, and Amarinder Singh was once an Akali minister. USA: Umrika for short, and Umrika as in Umrika-Caneda (America-Canada). Historically, the eastern and coastal states of India have been looking East, while Punjabis have been looking West. So a Nikki Haley still matters in Amritsar, and Harjit Sajjan is important in Hoshiarpur. Come elections, and folks from US, Canada, and Western Europe, make a beeline for Punjab. They have invested in their villages, sponsored sports tournaments, and are a magnet for subsequent migrations. So naturally, "Umrika types" expect their voice to be heard during Punjab elections. And all political parties make it a point to woo NRIs. Vote buying: Vote buying was a phenomenon that emerged in the Malwa belt of Punjab, where rich landlords would try and purchase a victory. Akin to purchase of loyalty of tribal chiefs, this process got democratised and instead of purchasing the local sardars, attempts were made to woo individual voters. It began with one note and one bottle in lieu of one vote, and it has gradually been transformed into a massive vote purchasing exercise. Sometimes, the entire exercise takes a bizarre turn. When loyalties were suspect, instead of bribing people to vote, people are often bribed not to vote. Wagha: That is where Punjab ends. But every election in Indian Punjab is watched with interest on both sides of the Wagha border. Even today, the migrants from Bahawalpur from Pakistani Punjab still decide the fate of the contestant in Rajpura. But even if the nostalgia of the pre-Partition generation is gradually receding, every election brings a ray of hope that trade would reopen in the border state, and few places symbolise trade bottlenecks like the Wagha border. Xtras: Xtras may win cricket matches, but in Punjab they are a surprise lot. Every party and every famous candidate is challenged by an extra. There is one Shiromani Akali Dal, but another half a dozen other (extra) Akali Dals also exist. There is one Indian National Congress, but it has spawned half a dozen other Congress parties. There is one AAP, but close to half a dozen similar parties have emerged just before the elections. Even candidates find themselves in a quandary while contesting elections when they are suddenly accosted with their namesakes contesting elections against them. Often propped by rival parties, these extras end up confusing the voters. Youth Wings: In a state which has the oldest CM of the country, and where Kakajis are all important; youth wings and student wings of parties seem to be an oddity. The website of the Youth Akali Dal proudly displays photographs of Parkash Singh Badal and Sukhbir Singh Badal (aged 89 and 54 respectively). Seniority continues to be a criterion in an otherwise young state, and no wonder the young are looking elsewhere. Zamindar: Despite urbanisation and an emergent middle class, elections in Punjab veer around zamindars or landowners. From the days when Master Tara Singh was sidelined by the feudal zamindars, there have been few exceptions - Zail Singh was one, and Manmohan Singh is another. But Manmohan Singh is hardly a Punjab politician. Ever since the First World War, Punjab politics has been dominated by the landed gentry and the Unionist Party. They were all “Sirs,” and Sir Sikandar Hayat Khan and Sir Chhotu Ram were pioneers in this brand of politics. Even though the Unionist Party capitulated to Jinnah in the mid-forties; but even after Partition, the landed aristocracy has continued to call the shots in both Indian and Pakistani Punjab. In north western India, the most famous leaders have all been zamindars - be it Badal, Devi Lal or Balram Jakhar. And do not forget, almost every highway has an eatery titled “Zamindara Dhaba". He is a journalist based in Thailand, who specialises in south and southeast Asia. His interests include science, environment and education, and their interface with media.